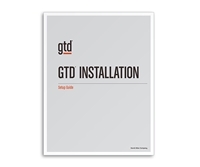 The 2019 GTD® Organizer is a complete system built on the GTD principles. Letter size. The 2019 GTD® Organizer Calendar is built on the GTD principles. Junior size. Our best-practices guide for implementing GTD® with Todoist®.